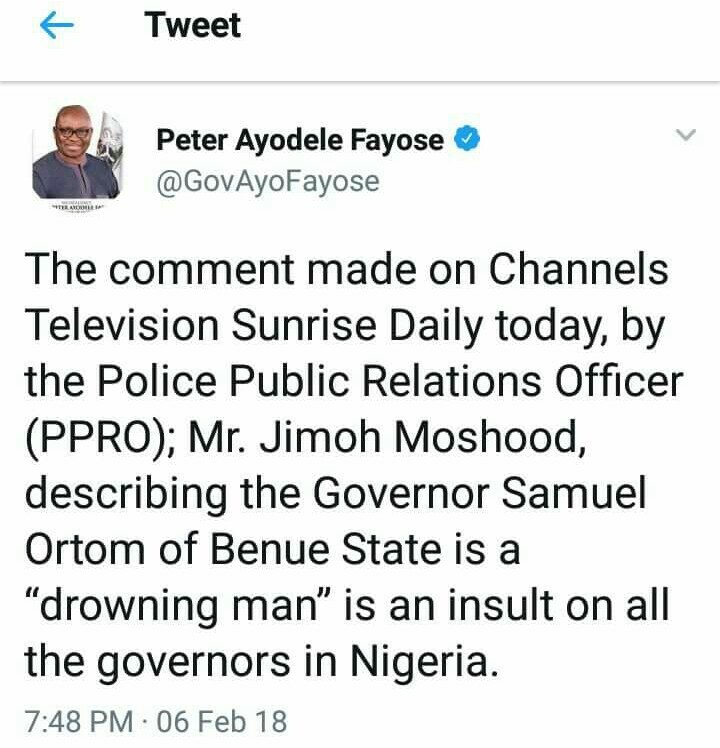 Governor of Ekiti State, Ayo Fayose condemn comments directed at Benue State Governor Samuel Ortom by Police Public Relation Officer, Mr. Jimoh mashood. 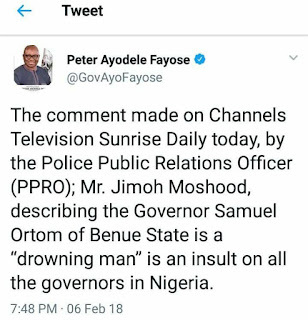 Fayose In a tweet wrote "the comment made on channels television sunrise daily, by the police public relation officer ( PPRO):, Mr. Jimoh moshood. Describing Governor Samuel Ortom of Benue state, "a drowning man" is an insult to all Governors In Nigeria."